We get daily requests to review children’s educational apps – so many requests, in fact, that we don’t have the time or resources to keep up. As much as we’d love to be able to share our gameplay experience of every app with readers, we simply can’t do it. However we try our hardest to at least check out each and every app that comes through our inbox and this helps us to follow ed-tech trends. By playing each app, even if only for a few minutes, we’re also introduced to the work of various children’s app developers. Some are small-name, independent developers and some have more clout (and money!) but still produce amazing educational apps for kids. It’s a way for us as reviewers, parents, and armchair “experts” (and I use that term loosely) to recognize real talent. Fairlady Media – Just today Grandpa In Space was released in the App Store, the newest addition to a stellar lineup of intuitive apps for younger players. 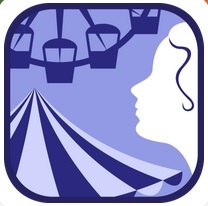 Starring both Grandma and Grandpa, the apps boost confidence and provide fun and relatable confidence-boosting praise. Full voice-narration means that non-readers will have a blast playing, and fun mini-games improve dexterity, teach about responsibility, and promote open-ended play (among a ton of other early learning skills). Duckie Deck – Their latest release Trash Toys is a stellar app that inspires creative thinking and promotes off-screen playtime; it’s almost like Pinterest for preschoolers. 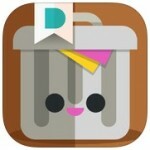 Most Duckie Deck apps don’t require reading to play which allows for even the youngest of iPad users to enjoy the games. Themes include learning how to share, creating a new family “portrait”, and overcoming childhood fears (like monsters). Stay tuned for their new and updated website, coming soon! 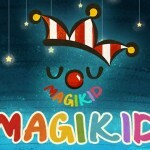 Magikid – Making a name for themselves with adorable visuals and easy-to-play edu-apps, Magikid’s biggest hit is probably their Chinese language app geared for the 3-8 crowd. There’s also Magikid Stage which is great for groups (like classrooms) to express creativity and boost imaginative storytelling. 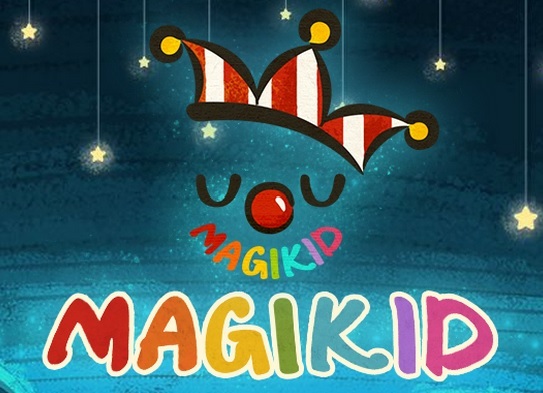 Make sure to follow @magikidapp on Twitter for some really great off-screen ideas for parents, caretakers, and educators – like how to make your own play dough or tips on getting your kids to read more over the summer. Artgig – Heavy on the math, these devs create some amazing number-centric apps for all-ages math skills building. The games combine adventure and fun with straight-up math learning to create engaging and truly educational content that is highly replayable. 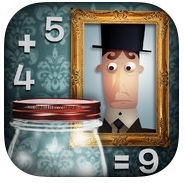 Mystery Math Town is one of the best school-aged math skills apps I’ve played in a long time; aimed at ages 6-12 it’s a comprehensive app that turns “boring” math into a real experience that kiddos will really enjoy. Nosy Crow – Known for clever artwork and fanciful reimaginings of childhood classics, Nosy Crow produces storybook apps with a ton of interactivity. Players can choose their own endings to the story and high interactivity keeps kiddos engaged and learning. Nosy Crow also produces “real” paper books which all come with a digital version of the story – a program called Stories Aloud. This helps to bridge the ever-widening gap between technology and education without diminishing the integrity of the actual book. Tell us about your favorite children’s apps developers in the comments below!